C8 Sciences creates sophisticated cognition assessment and development programs through the latest in cutting edge neuroscience research. 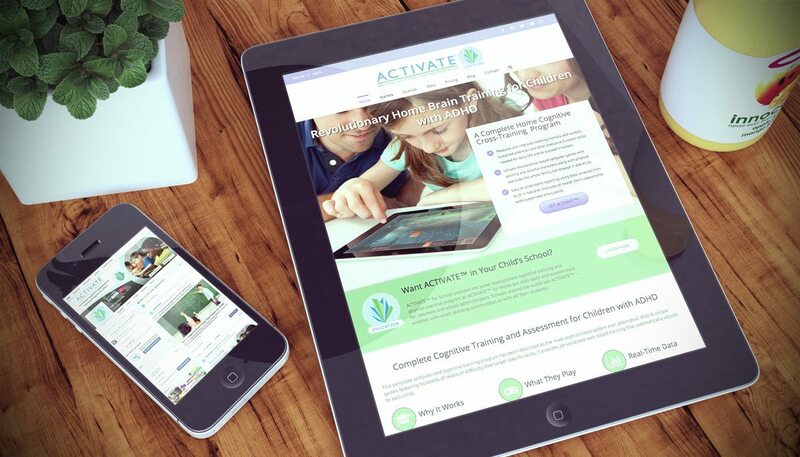 Founded by a world renowned Yale neuroscientist and developmental and disability researcher, Dr. Bruce Wexler, C8 Sciences prides itself in creating products that improves brain functionality and can be used to enabled children with ADHD to learn more easily! C8 Sciences needed to generate more leads and to convert more of those leads into customers. They needed both a new website that was optimized to help convert their website viewers into customers and a website that would show up in search engines so they could increase their online visibility. Their site had only been converting .8% of viewers! 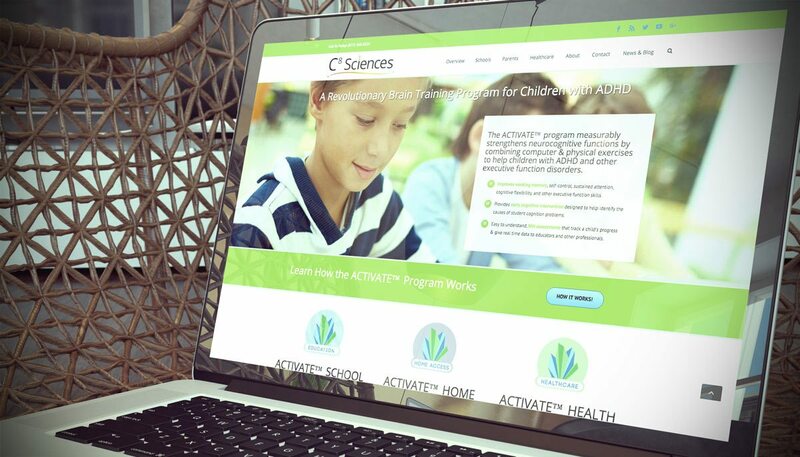 The team at C8 Sciences already recognized the need to modify their website, for a more appealing aesthetic and to assist with their goal to increase conversions. Our first milestone was to develop a website to reflect those goals and that would lead to more sales, while providing a strong presence of quality and attention to detail. Using the foundation of a modern layout and CSS styling, our content writers and web designers went to work optimizing the way the visitors are led from first impression to a point where they are funneled into a sale. Creating new pages, changing layouts and developing landing pages for email marketing. 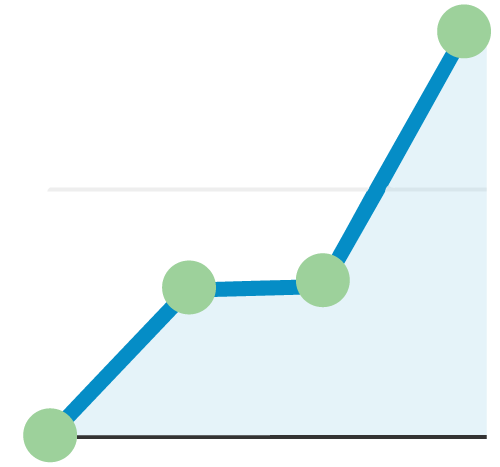 Web traffic visits TRIPLED in the first 3 months! In direct correlation with our marketing efforts, their web traffic more than tripled from roughly 2,000 visits per month — to just over 7,000 visits per month! We always like to remind our clients that Search Engine optimization takes time and you may not see the results for months, but the results can be very impressive and the organic effects are long-lasting. This is a perfect example of how SEO can provide remarkable results, even in just 3 months! Their conversion rates increased from .8% to 12%! Over the course of the first year, our on-page optimization of their website changed the way that their visitors engaged with the pages. The process of leading a visitor from the first glance of their brand to a sale, is known as a conversion. The combination of the optimization of this process, alongside our efforts to increased traffic to their website, led to more sales from the website.